Chia Seed Diet Plan: Chia seeds are considered to be extremely healthy and nutritious. They are a powerhouse of energy. But do you have any idea there are many other benefits of chia seeds as well? Chia seeds are extremely useful when it comes for weight loss. There are a number of products which will help you in losing weight in a healthy manner and without comprising on your energy quotient. Chia seeds are one of them. 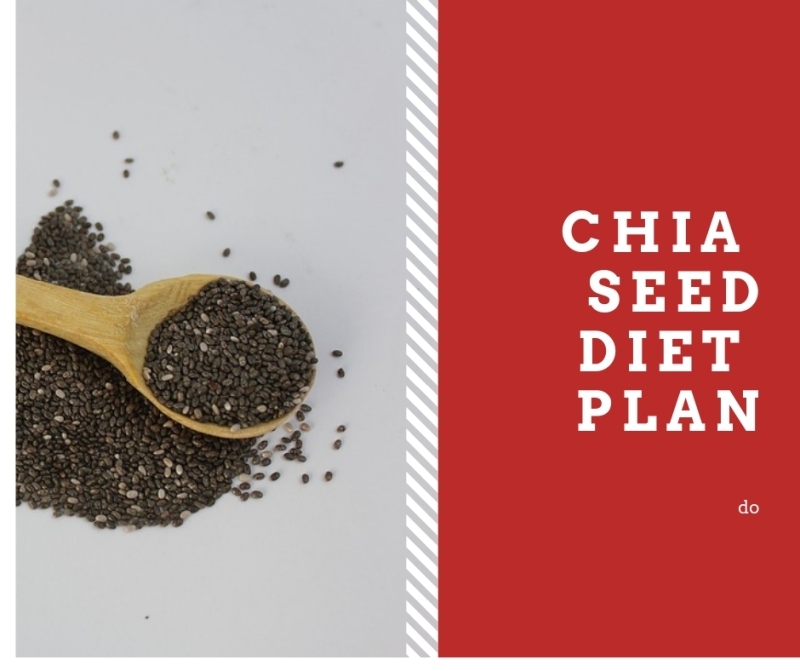 Thus, many people even expert dieticians would recommend you to use chia seeds so that you lose weight in a healthy manner. Early Morning (06:00 A.M.) – 2 teaspoon fenugreek seeds soaked in 1 cup of water overnight. Consume this first thing in the morning on an empty stomach. Breakfast (08:00 A.M.) – Oatmeal made with chia seeds. You can also have 1 banana or any other fruit of your choice. Don’t forget 2-3 almonds with this. Just soak the almonds overnight in water and then remove the skin in the morning and have it with your breakfast. Mid Morning (10:30 A.M.) – you can have 1 boiled egg here topped with some black salt. You can also have 1 glass of freshly pressed juice of any fruit of your choice. Lunch (12:30 – 1 P.M.) – For nonvegetarians, you can have the tuna fish with slight dressing. And you can also enjoy Tofu salad with light dressing of your choice. This is for vegetarians. Also, have 1 cup of buttermilk to keep you well hydrated throughout the day. Post Lunch (3 PM) – Have 1 cup of green tea and 1 multigrain biscuit as your post-lunch snack. This will keep your tummy full but keep you energized at the same time. Dinner (6:30 – 7 P.M.) – For nonvegetarians, they can have grilled fish or chicken. Vegetarians can have mushroomed. Both of them can have veggies of their choice lightly sautéed in oil. Post dinner (9 PM)- Lastly have a half glass of warm milk and 1 tablespoon of chia seeds before calling it a night.